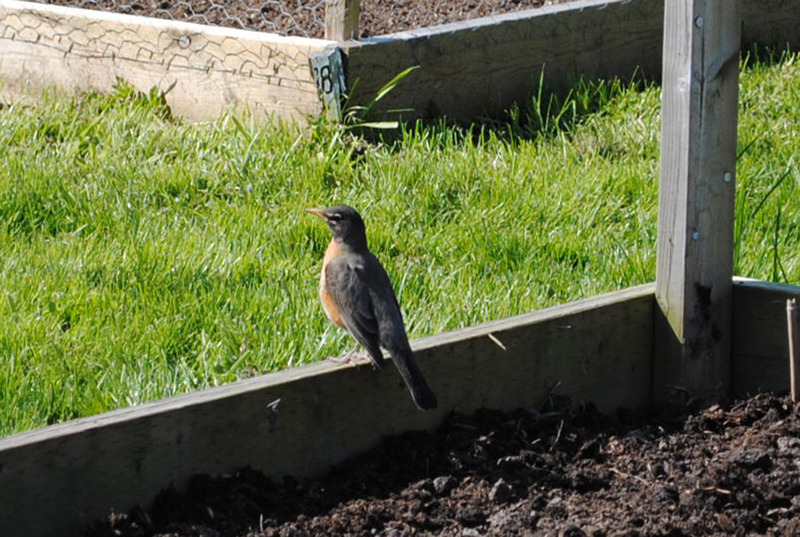 T he gardeners had been gone only a few minutes when this robin flew over. Freshly worked soil – he knew a good opportunity when he saw it. A rich feast of earthworms was at hand, and it took no time at all for him to spot a delicious-looking prospect.